Eosinophils are granulocytes, which are present in a variety of diseases. They perform numerous important functions and play a key role in defense against various diseases. The structure, contents of granules, functions, activation, emigration, infiltration and degranulation of eosinophils are discussed in this article. Eosinophilia and associated oral diseases are also mentioned. 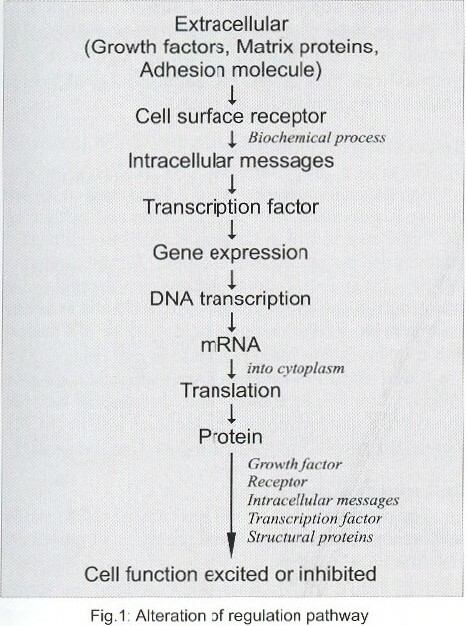 Desmosomes are cell surface modifications that provide strong adhesion between epithelial cells. The presence of desmosomes in a majority of epithelia make them useful epithelial markers. This paper describes a monoclonal antibody 32-2B to desmosomal glycoprotein 1 (Dsg1) or desmoglein, preserved in routinely processed paraffin embedded sections. This antibody was tested for its ability to stain normal oral epithelium and epithelium derived tumors. It reacted with all oral epithelial specimens tested but showed negative staining in those specimens which lacked desmosomal structures like connective tissue cells and lymph nodes. These characteristics demonstrate that 32-2B is a reliable epithelial marker that may be useful in diagnostic histopathology. The aim of the present study was to estimate the serum status of antioxidants, superoxide dismutase (SOD) and glutathione peroxidase (GPX) in oral submucous fibrosis (OSF) which is a precancerous condition common in Indian subcontinent. A total of sixty subjects were included in the study comprising of 30 cases of oral submucous fibrosis and 30 healthy controls. The haemolysate levels of antioxidant enzymes (SOD and GPX) were estimated using Ciba corning express plus autoanalyzer for spectrometry. In OSF, serum antioxidant enzyme levels were found to be decreased (mean SOD 86.63±20.36 and mean GPX 1.50±0.30 U/ml) compared to the control group (mean SOD 127.1±18.14 and mean GPX 2.71±0.43 U/ml). 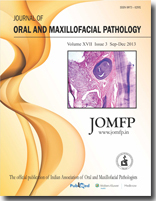 The results suggest that low values of SOD and GPX may be associated with the development of carcinoma in oral submucous fibrosis. Rhabdomyosarcoma is an uncommon malignant tumour of striated muscle. Two cases of rhabdomyosarcoma involving the gingiva are discussed here with the initial clinical appearance as a pedunculated gingival growth or epulis. 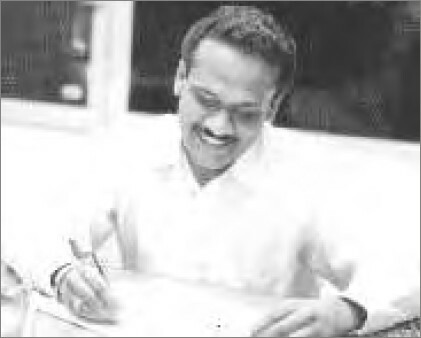 One of the cases was diagnosed by FNAC of the lesion. The article thus lays emphasis on the cytodiagnosis of oral lesions with a brief review of rhabdomyosarcomas of head and neck. Chondrosarcoma is a malignant tumour characterized by the formation of cartilage by the tumor cells. Lesions of the jaw account for 1% of all chondrosarcomas reported. 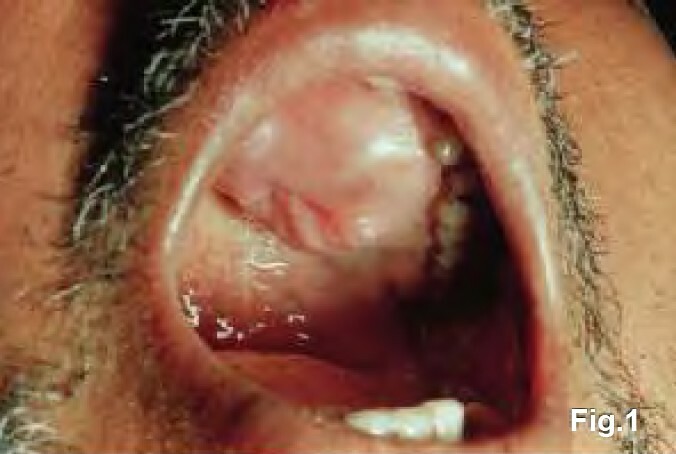 Most commonly, chondrosarcomas occur in the anterior portion of maxilla. However an unusual case of chondrosarcoma, which occurred in the posterior region of the maxilla, was encountered. Biopsy was taken from multiple sites of the tumour tissue and the histopathologic diagnosis was confirmed as chondrosarcoma. 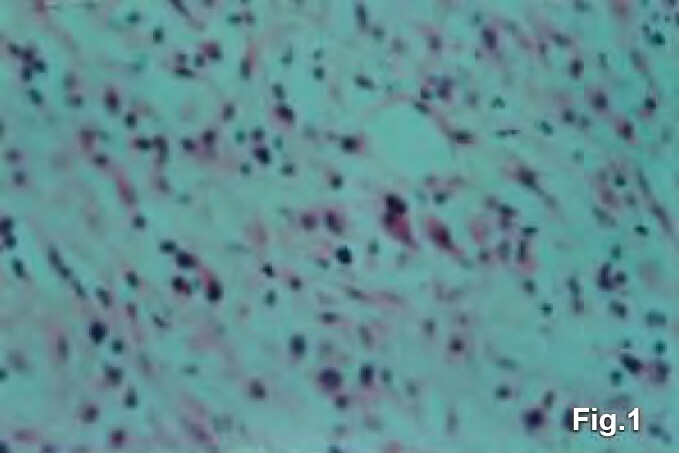 Clear cell tumours frequently pose a challenge to the pathologist since the classical morphological features of malignancy exemplified by cytological atypia are frequently absent in malignant clear cell variants, thereby excluding reliance on this histopathological hallmark for the establishment of a diagnosis. Epithelial myoepithelial carcinoma is a rare biphasic low-grade salivary gland malignancy with a prominent clear cell component. 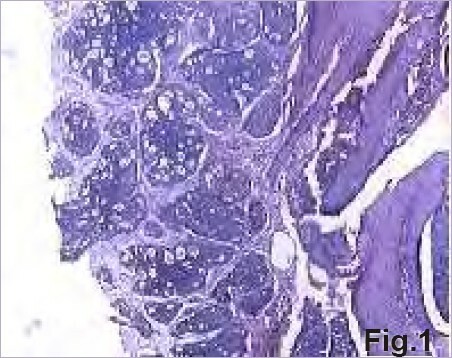 We report a case of epithelial myoepithelial carcinoma in the palate of 50-year-old male.